"All aboard, the Choo choo train is coming! 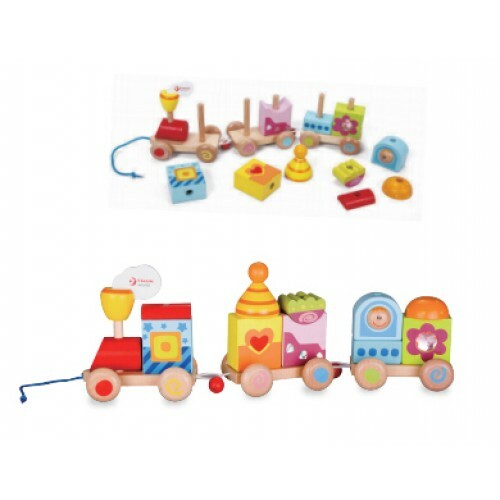 Classic World Pull Train consists of removeable blocks and shapes which stimulate creativity and enhance motor skills. Your toddler can design and re-design over and over again.